I have visited many divided cities: Nicosia in Cyprus remains Europe’s only divided capital; Berlin has been reunited, but I was still conscious recently of where the border once ran between east and west when I visited the Brandenburg Gate and Checkpoint Charlie; and Strabane in Co Tyrone and Lifford in Co Donegal, are really one town, as are Blacklion in Co Cavan and Belcoo in Co Fermanagh, but they are divided between Northern Ireland and the Republic of Ireland. Recently, I visited the divided town of Gorizia, both Gorizia and Nova Gorica, crossing the border between Italy and Slovenia a number of times, arriving and leaving from one railway station in Italy, and having lunch in another in Slovenia. It might be just too easy to compare the once divided Gorizia with Berlin during the Cold War. But even at the height of the Cold War, Yugoslavia was nonaligned, and Italy and Yugoslavia shared many cultural and sporting events until 1991. The frontier dividing Gorizia remained in place until Slovenia became part of the Schengen Agreement on 21 December 2007. 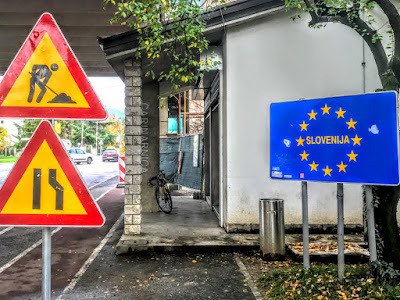 Today, the border between Italy and Slovenia is almost invisible, an artificial line that runs between Gorizia in Italy and Nova Gorica in Slovenia. The most celebrated border crossing is at Europa Square, an open pedestrian square in front of the Transalpina railway station. 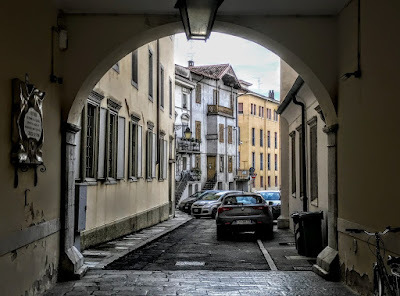 But there are other border crossings between Gorizia and Nova Gorica, for the border is a straight line that ignores the natural contours and bends in the streets and buildings, still seen in the remains of a fence that once ran across streets and even divided gardens. 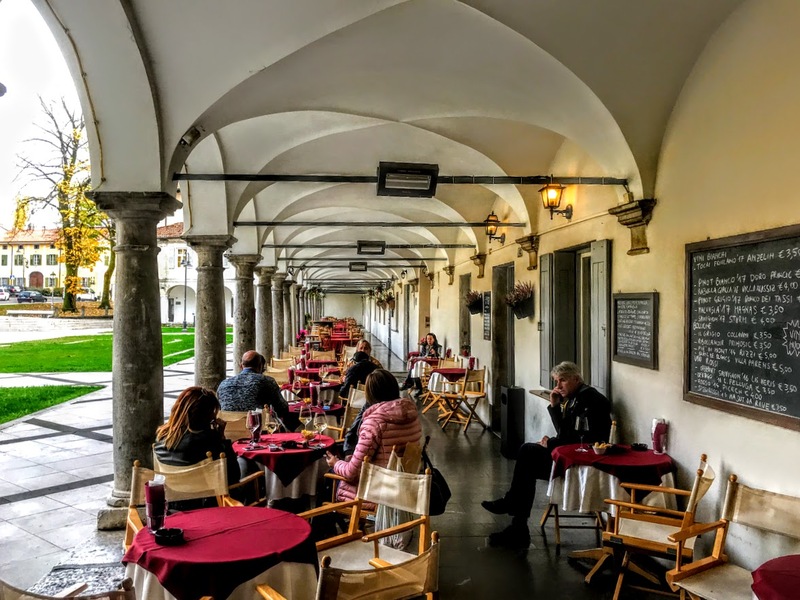 Gorizia is at the foot of the Julian Alps and just two hours by train from Venice. Over the centuries, it has been ruled by the Romans, the Holy Roman Empire, the Venetians, the Habsburgs of Austria, and was a place of refuge for the exiled Bourbon family when they lost their throne in France. Gorizia stands where the Isonzo and Vipava valleys meet, in a plane overlooked by the Gorizia Hills. Its name comes from the Slovene word gorica, meaning ‘little hill.’ The town first emerged as a watchtower controlling a crossing on the River Isonzo, and was a village near Via Gemina, the Roman road linking Aquileia and Emona, or present-day Ljubljana. 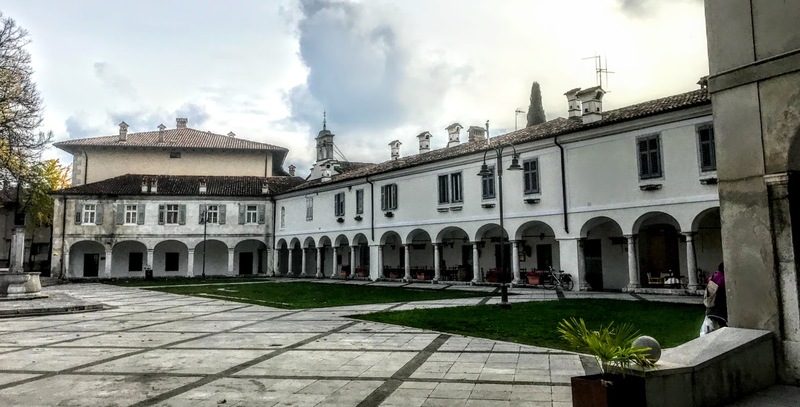 The name Gorizia is first recorded in 1001, when the Holy Roman Emperor Otto III granted the castle and village of Goriza to John II, Patriarch of Aquileia, and Count Verihen Eppenstein of Friuli. By 1127, Count Meinhard was calling himself Graf von Görz. From the 12th to the early 16th century, the town was the centre of an independent county, with a village around the upper castle district and a lower village. The family of the Counts of Gorizia died out in 1500, when Leonardo, the last Count of Gorizia died in 1500, and was buried in the church that would become the cathedral. After a short period of rule from Venice in 1508-1509, Gorizia came under the Austrian Habsburgs. Under the Habsburgs, the town spread out below the castle, and many people moved there from neighbouring parts of northern Italy. Gorizia quickly became a multi-ethnic town where Friulian, Venetian, German and Slovene were spoken. 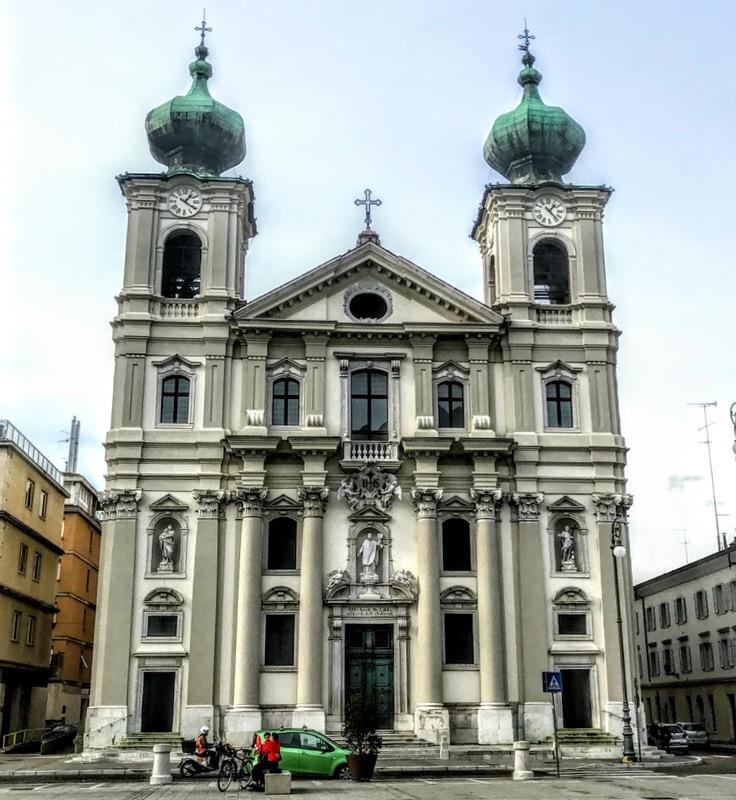 The cathedral or duomo, behind Piazza Cavour, dedicated to Saint Hilary (Ilario) and Saint Tatian (Taziano) dates from 1296 and the first reference to the church is in 1342. The church was enlarged at the end of the 14th century, and a new Gothic building was finished in 1525. 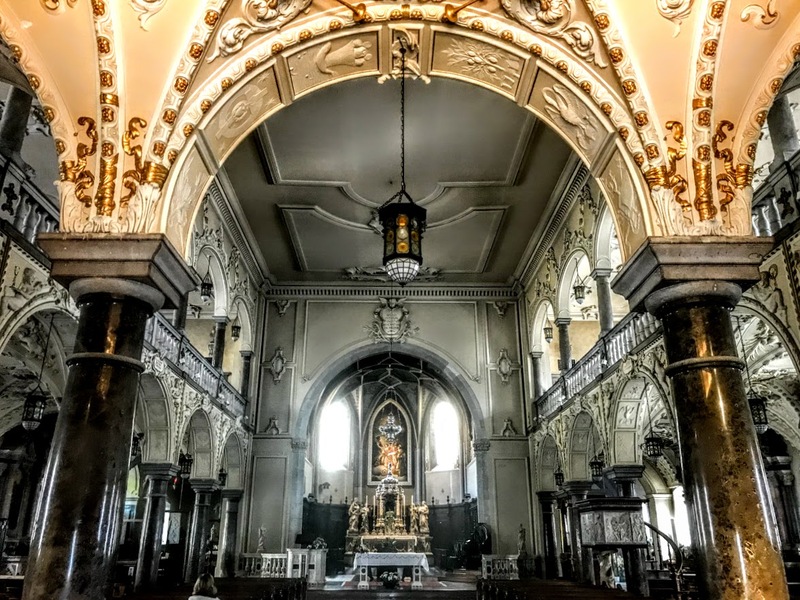 During extensive rebuilding in 1688-1702, the Gothic nave was replaced by a Baroque church with a nave and two side aisles, galleries and a choir and organ loft. The neoclassical façade dates from the 19th century. The 17th-century interior has with rich baroque decorations, 17th and 18th century altars, an 18th-century decorated pulpit, and the tomb of Count Leonardo, who died in 1500. The altarpiece in the apse by Giuseppe Tominz (1825) depicts the Virgin Mary with Saint Hilary and Saint Tatian. 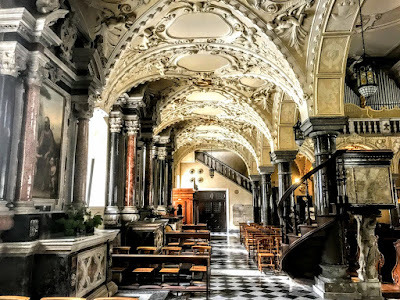 At the end of the right aisle, the Gothic Chapel of Sant’Acazio, built by the Counts of Gorizia, was incorporated into the cathedral in the early 1400s. The elegant angels depicted as musicians on the ceiling date back from the mid-15th and early 16th century. During the Reformation, the prominent Slovene preacher Primož Trubar visited and preached in Gorizia. By the end of the 16th century, however, the Catholic Counter-Reformation had gained force in Gorizia. 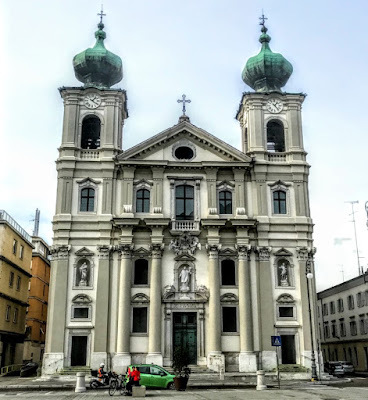 When the Patriarchate of Aquileia was abolished in 1751, the Archdiocese of Gorizia was formed in Habsburg territory, with suffragan dioceses in Trieste, Trento, Como and Pedena. A new town developed around the cathedral, many new baroque villas were built, and a new synagogue symbolised the multi-ethnic, tolerant life in the town. 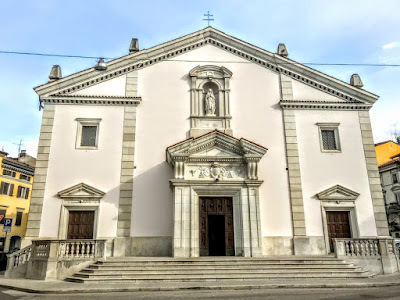 The Church of Saint Hilary and Saint Tatian became the cathedral of Gorizia in 1751, and from 1766, the archbishops were also Princes of the Holy Roman Empire. The new diocese was suppressed in 1788 but was restored in 1797 and had an archbishop once again from 1830. Close to the cathedral, Piazza Sant’Antonio is lined on three sides by airy colonnades that were once part of the cloister of a Franciscan convent founded in the 13th century by Saint Anthony of Padua. On the square, the Palazzo dei Baroni Lantieri dates from the Middle Ages. The oldest part is the 13th-century tower with a drawbridge, part of the city walls later incorporated into the Schönhaus (‘La casa bella’), home of the Counts of Gorizia. The guests in the past included Pope Pius VI, Napoleon, Casanova and the playwright Carlo Goldoni. On the same square, the Palazzo dei Conti Strassoldo, now a hotel, was the home from 1836 of the exiled French Bordon monarchs, Charles X and Louis XIX, who lived here as the Duke of Angoulême. 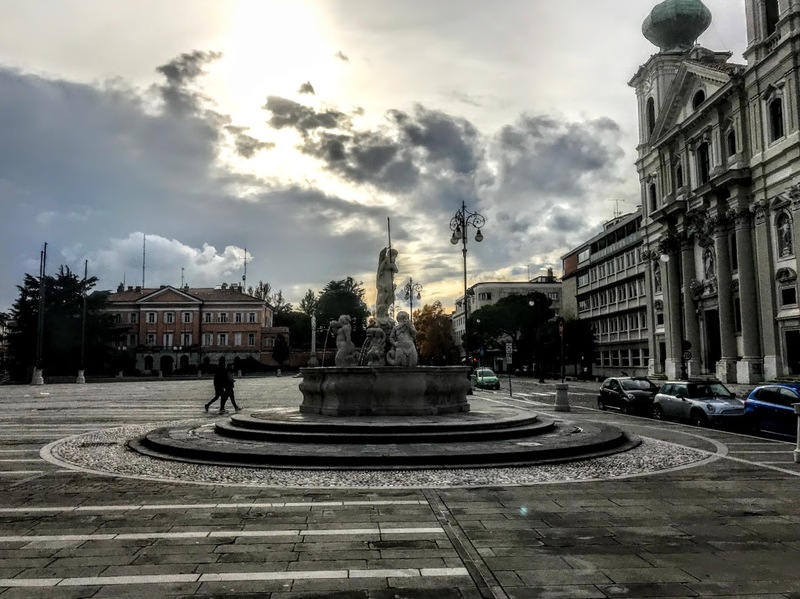 The largest square in Gorizia is the Piazza della Vittoria (Victory Square). Here, the Casa Torriana, dating from the 16th-century, is now the seat of the prefecture or local government. Giacomo Casanova who stayed here in 1773 and describes his sojourn in Gorizia in his Memories. In the centre of the square, the Fountain of Neptune (1700) is the work of Marco Chiereghin of Padua, and the Column of Saint Ignatius was donated by Count Andrea di Porcia in 1687. The piazza is dominated by Saint Ignatius Church, built by the Jesuits between 1654 and 1747. The imposing façade is the work of the Austrian Jesuit Christoph Tausch. Three niches hold statues of Saint John the Baptist, Saint Ignatius and Saint Joseph, and the two bell towers are surmounted by two bronze onion domes. 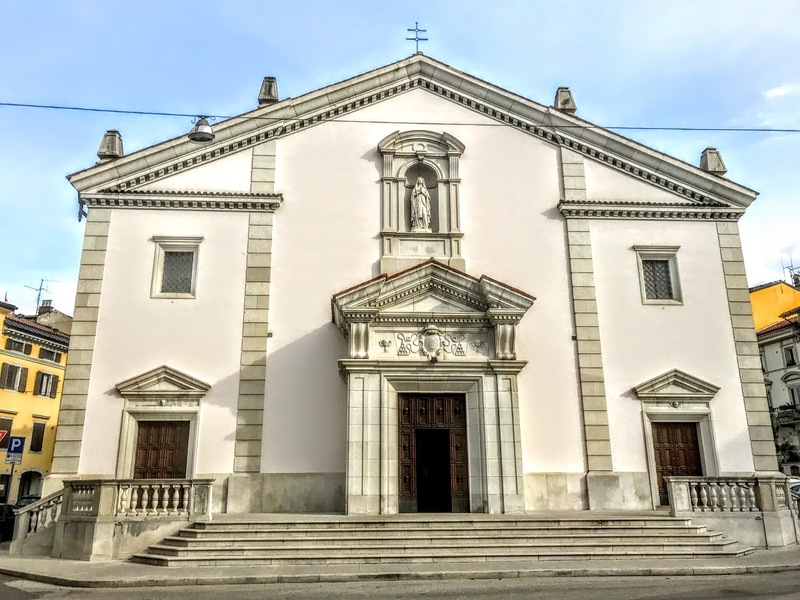 The church was rebuilt in the 1760s and was consecrated by Karl Michael von Attems, Prince-Archbishop of Gorizia, in 1769. However, the church was destroyed 23 years later when war broke out between Austria and France and many of its original treasures were stolen. During the Napoleonic era, Gorizia was under French rule in 1809-1813. After the restoration of the Austrian rule, Gorizia became a popular summer residence for the Austrian nobility and was known as the ‘Austrian Nice.’ When the French Bourbons were deposed in 1830, the last Bourbon king, Charles X, moved to Gorizia. In mid-19th century, Gorizia had regional autonomy and was a multi-ethnic and tolerant town, with a flourishing cultural life and Italian, Venetian, Slovene, Friulian and German were all spoken in the streets. On the eve of World War I, Gorizia had about 31,000 residents, with another 14,000 people in the suburbs. 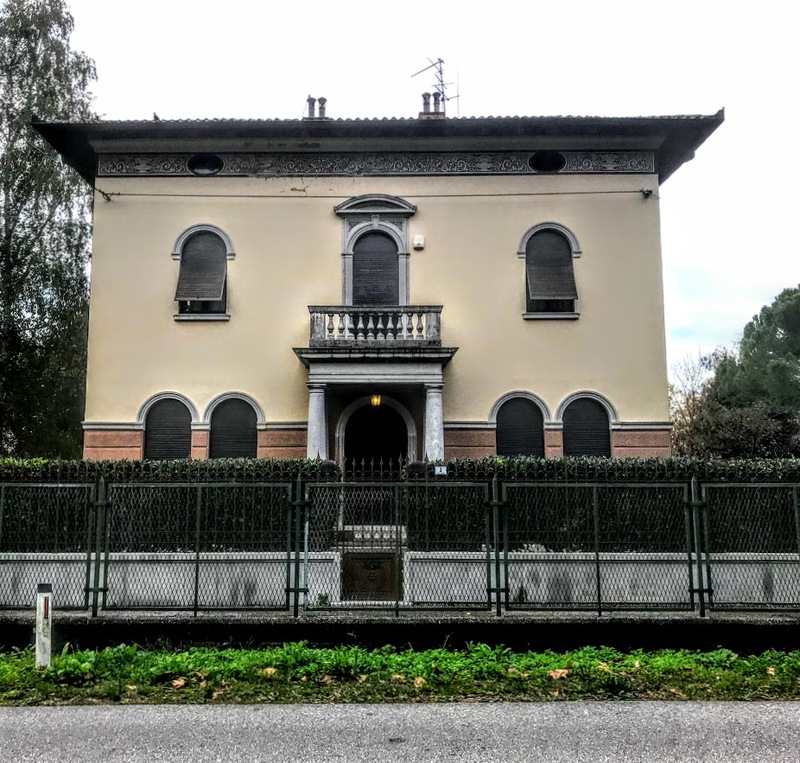 The first victim of World War I in Gorizia was Countess Lucy Christalnigg, who was shot on 10 August 1914 while driving her car on a mission for the Austrian Red Cross. 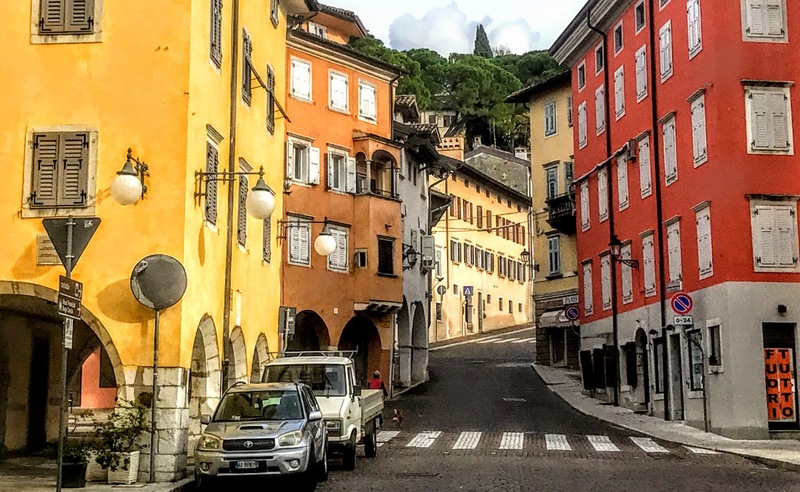 Italy entered World War I on 24 May 1915, and the hills west of Gorizia soon became the location of fighting between Italian and Austro-Hungarian troops. 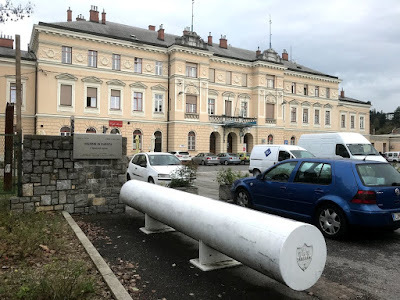 Most of the inhabitants of Gorizia were evacuated by early 1916, the Italian army captured Gorizia in August 1916, but the town returned to Austro-Hungarian control at the end of 1917. At the end of World War I, Gorizia was occupied by Italian troops again in early November 1918, and in 1927 Gorizia became a provincial capital. With the rise of Fascism, many Slovenes fled Gorizia to Yugoslavia and South America, the town borders were expanded, and Mussolini visited the town twice. After the Italian armistice in 1943, the town was shortly occupied by Slovene partisans, but then fell to Nazi Germany. The entire region was at the heart of a territorial dispute between Italy and Yugoslavia after World War II. When the new boundaries were drawn up in 1947, the old town was part of Italy, and Nova Gorica was on the Yugoslav side. Today, the two towns form one conurbation that also includes the Slovenian municipality of Šempeter-Vrtojba. Since May 2011, these three towns are joined in a common trans-border metropolitan zone, administered by a joint administration board. As I stepped between three towns and two countries, no-one asked me for a passport, no one asked me to take my place in a queue, asking for identity, or my opinion on who should be in the European Union and who should be out. At one point, a Slovenian policeman at a former checkpoint seemed to be amused by my enthusiasm for taking a photograph looking back into the Italian side. At the bar in the Slovenian train station, they called a taxi for me without asking which side of the town I was going to. The taxi driver between one train station and the next worked comfortably in both Italian and Slovene, but only charged in one currency. Borders in Europe have become meaningless. They respect cultural variety and celebrate difference. It is so sad that they could become a point of political argument and dissent that forget the peace that we have worked so hard to build in Europe not only since the end of World War II in 1945, but since the end of World War I. 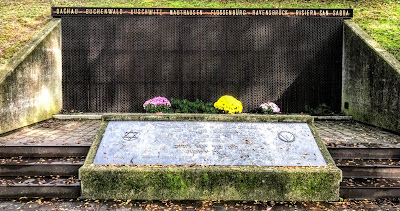 A memorial to the victims of the Holocaust at the train station on the Italian side of the town lists the concentration camps where the Jews of Gorizia were murdered … Dachau, Buchenwald, Auschwitz, Mauthusen, Flossenburg, Ravensbruck, Risiera San Sabba. 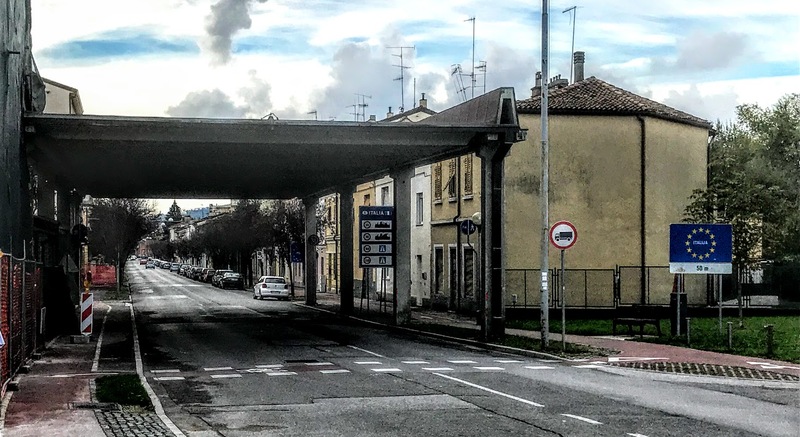 Gorizia, with its meaningless border crossings and fences and its Holocaust memorial is a reminder of rise of populist nationalism in Europe in the past and the divisions it brought with it. The Holocaust Memorial is a call to never forget the horrors of racism, the destruction that war brings, and the dangers of erecting new borders in Europe. 11.30 a.m.: The Epiphany Eucharist (Holy Communion 2), Saint Brendan’s Church, Kilnaughtin (Tarbert), Co Kerry. We have completed the 12 days of Christmas. And on and on it goes. Not very useful gifts at all, as Frank Kelly reminded us in his parody of this song as Gobnait Ó Lúnasa. But this morning, in our Epiphany Gospel reading (Matthew 2: 1-12), we remember the Three Wise Men, the Three Kings or the Three Magi, who brought their true gifts to the Christ Child in the Manger. Many of us have probably put Christmas behind us at this stage. We’ve probably taken down the tree, the decorations and the holly. Why, we have probably even forgotten our New Year’s resolutions too. 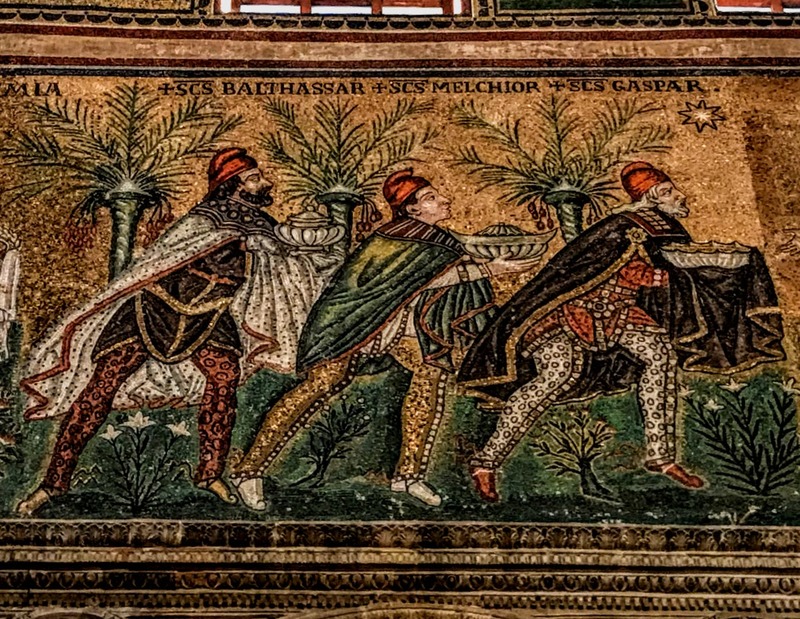 So, why should we remember this morning’s story of the visit of the three Wise Men? And how practical were their gifts? I received Christmas greetings a few weeks ago from a friend, an icon-writer, who lives in Crete. For fun, I decided to run her message in Greek through Google Translate. And I was disturbed that it translated the three Magi as the three Wizards. Our Old Testament reading (Isaiah 60: 1-6) and Psalm (Psalm 72: 1-7, 10-14) speak of gifts given by kings and of the Messiah being worshipped by kings. Saint Matthew’s account was reinterpreted in the light of these prophecies, and so the magi became kings rather than Persian wise men or priests. Perhaps this interpretation was influenced by the negative image of magi not in the Old Testament but in the New Testament. The magi were members of the Persian priestly or religious caste. In the Old Testament, for example, the magi or wise men are led by Daniel (see Daniel 2: 48). But the same term later has negative connotation when it is used in the Acts of the Apostles to describe the sorcery of Simon Magus (Acts 8: 9-13) and the magic of Elymas (Acts 13: 6-11). ● Melchior is a middle-aged man, giving frankincense. ● Balthazar is a young man, very often black-skinned, with the gift of myrrh. Saint John Chrysostom suggests that these gifts were appropriate not just for a king but for God. Do you think the Virgin Mary and Saint Joseph took these gifts with them as they fled into exile in Egypt? Do you think they sent thank-you cards when they got to Egypt, or when they eventually got back to Bethlehem? There is a tradition that suggests Joseph and Mary used the gold to finance them when they fled. But in the Monastery of Saint Paul on Mount Athos, there is a 15th century golden case that is said to contain the Gift of the Magi. But whatever the traditions, whatever the myths, whatever the legends may say, the truth they are trying to get across is that Christmas and Epiphany find their full meaning and their fulfilment in Good Friday and Easter Day, in the Crucifixion and the Resurrection, when we see the Suffering and Risen Christ fully revealed to us as Prophet, Priest and King. What gifts do we have to offer Christ? If strangers came offering gifts to the Church, would we allow them to do so? What gifts do you have that you think the Church is not recognising, but that are gifts for Christ, that could help the whole Church to look forward in the Easter hope? ● the Wedding Feast in Cana, which we read about on Sunday week [John 2: 1-11; 20 January 2019]. 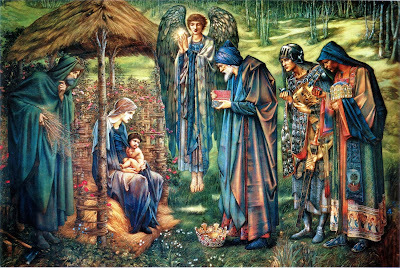 In fact, Christmas continues as a season in the Church until Candlemas or the Feast of the Presentation on 2 February, and which we read about on the first Sunday in February [Luke 2: 22-40 or 21-30; 3 February 2019]. On the feast of the Presentation, Mary and Joseph bring the Christ Child to the Temple, along with their meek gifts to offer to God, two turtle doves or two pigeons. Their simple, poor gifts are acceptable to God, and the old priest Simeon realises that the Christ Child is born as ‘a light for revelation to the Gentiles and for glory to your people Israel’ (Luke 2: 32). No matter what gifts we bring, how rich or humble we are, they are acceptable to God. And the Christ Child is God’s gift to all humanity. We introduced the Epiphany tradition of ‘Chalking the Doors’ at Saint Mary’s Rectory in Askeaton, Co Limerick, last year. I was first introduced to this Epiphany tradition when I was visiting Westcott House, the Anglican theological college in Cambridge some years ago. Loving God, bless this chalk which you have created, that it may be helpful to your people; and grant that through the invocation of your most Holy Name that we who use it in faith to write upon the door of our church the names of your holy ones Caspar, Melchior, and Balthazar, may receive health of body and protection of soul for all who dwell in or visit our church; through Jesus Christ our Lord. Amen. Visit, O blessed Lord, this church with the gladness of your presence. Bless all who live or visit here with the gift of your love; and grant that we may manifest your love to each other and to all whose lives we touch. May we grow in grace and in the knowledge and love of you; guide, comfort, and strengthen us in peace, O Jesus Christ, now and forever. Amen. May Christ bless the church. 9.30 a.m.: The Epiphany Eucharist (Holy Communion 2), Saint Mary’s Church, Askeaton, Co Limerick.